MOMENTUM Youth Expo 2019 will take place from February 23-24 at Nugasevana, BMICH. 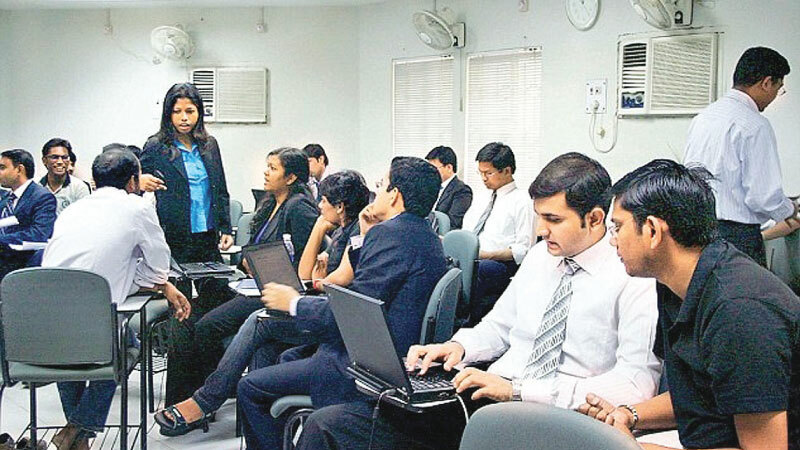 It will offer the Sri Lankan Youth unique opportunities to build career paths and discover hidden talents that will propel them to the next level in life. The event features an array of education prospects and career advancements that are targeted at a niche section of students and school leavers in the Colombo area. All through our lives, we are exposed to a wide range of ideas, concepts and thinking. Our ability and the prospects we receive to activate these thoughts shape who we become over the long term. Ability is forged through preparation while prospects are created through opportunity. Therefore, success could only be achieved when preparation meets opportunity. MOMENTUM 2019 is the event that ensures this forging takes place. MOMENTUM 2019 is organized by the S.Thomas’ College Mt Lavinia – OBA. It is by no means the usual “Education Fair”. Everything about MOMENTUM is designed to engage Youth. They are the only part of the population who are open to experimentation. They are the social media wizards who use every platform lucratively. The objective of MOMENTUM is to interact this generation with opportunities that lineup with their desires. MOMENTUM offers a unique platform for organizations, institutions and business establishments to present career pathways and higher education opportunities to school leavers, job seekers and those who wish to increase their skills or employment prospects. It is a Youth Expo, Education & Career Exhibition all rolled into one. In addition to a vast array of Education Institutions and recruitment options that account for over 50 exhibitors, MOMENTUM will feature career workshops, interactive forums and panel discussions conducted by industry experts, entrepreneurs, startup gurus and professionals. It will host a Digital Marketing Bootcamp and a Startup Pitch Night attended by the Sri Lanka Angel Network. Imran Hassan, Chairman of the Organizing Committee for Momentum 2019 stated, “We have witnessed a rapid influence of technology and new generation thinking in career fields. Schools across the island will take center stage as students are given a platform to showcase their talents in music, dance and drama. MOMENTUM Main Stage will provide amateur artists with an opportunity to gain exposure in front of a packed audience of youth and students. MOMENTUM aims to engage the interest of the different types of people the industries need. It is the game-changer of career and education expos. The future of Sri Lanka relies on our ability to develop, build and bridge preparation with opportunity, whilst identifying the dreams of the next generation. MOMENTUM 2019 is the foundation to ensuring this concept is propelled towards reality.